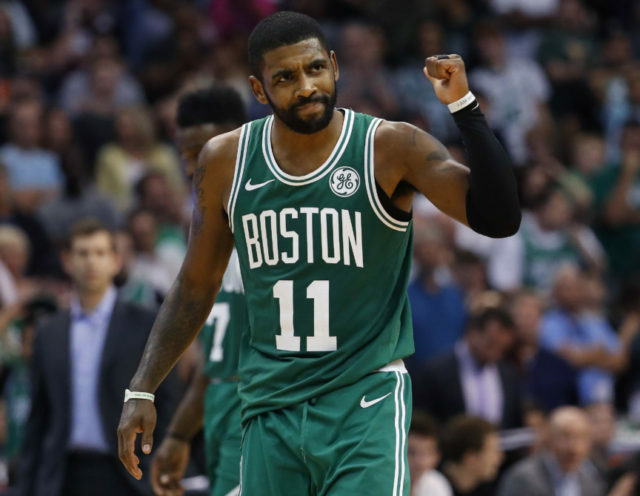 PHOENIX (AP) — Kyrie Irving scored 18 of his season-high 39 points in the fourth quarter and overtime, and the Boston Celtics rallied from a 22-point deficit for a 116-109 win over the Phoenix Suns on Thursday night. Celtics: Their 13 points in the first quarter were a season low. . Irving was the only starter to make a field goal in the first half. Jayson Tatum, Al Horford, Gordon Hayward and Brown were a combined 0 for 15. … G Marcus Smart surpassed 1,000 rebounds and 400 steals for his career.